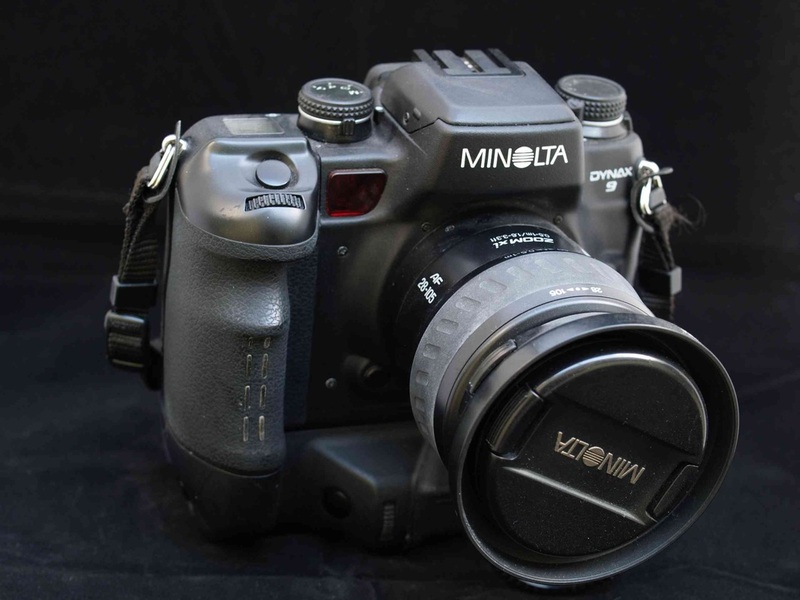 The 1998 Dynax 9 is Minoltas best. Period. This is without any doubt one heck of a camera. 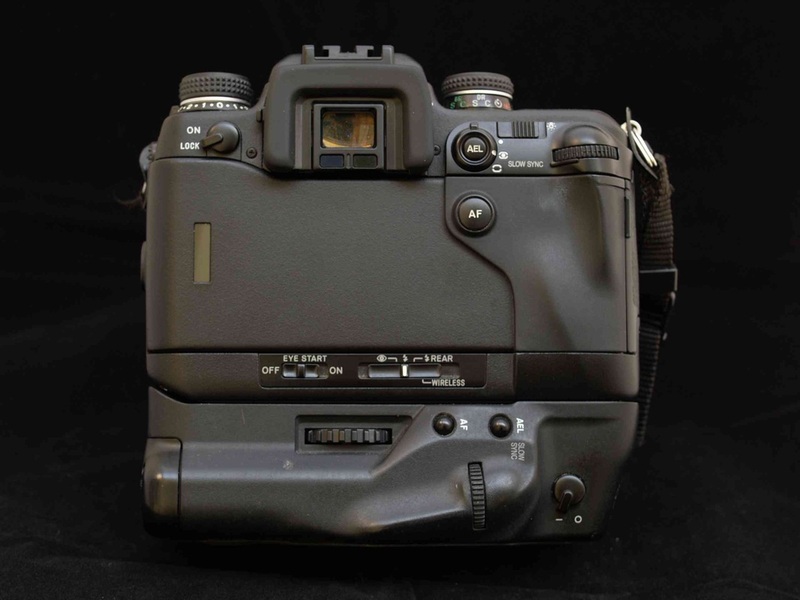 It could have been a Canon/Nikon beater, but it wasn't. Pros stick to their gear. And that means Canon or Nikon. The '9' is a 100% professional camera. A full metal body with weather sealings and a hefty and rocksolid feel. Still on board the recordbreaking 1/12.000 th shortest shutterspeed and the 1/300 th flash synchro time. Unique for a pro-camera is the built in flash. Pros tend to think it's a weak point, but no way it truly is a stronghold. Perfect for fill in flash and solid like the rest of te camera. Together with the vertical controlgrip VC-9 you have a fast and very responsive camera, all with the fantastic ergonomics allready introduced on the 600si. 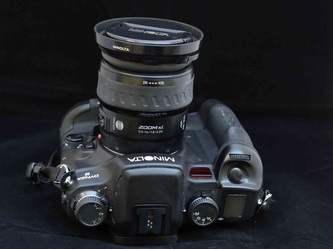 Compared to for example the Canon Eos 1V you have a comparable professional tool, with way better ergonomics. Where Canon sticked to multifunction pushbutton-turnknob control, Minolta continued the large singlefunction turnknobs and pushbuttons. A delight. There's only one small drawback to the '9'. Initially it wasn't perepared for the later SSM lenses. So it can't focus those lenses. Later on hardware updates became available. Everyone who bought a new SSM lens, could have his '9' updated. This wasn't just a simple software update. In fact it took the change of a cicuitboard inside. Even until recently (maybe until today) the German firm Runtime performed this update. But probably a cheaper way to update is to just buy yourself a secondhand '7' ;-). Probably due to this complex upgrade, you have to be aware of the fact that most of the '9's will not be upgraded and as a consequence can't focus SSM. Later in 1999 Minolta introduced a limited edition of the '9'. 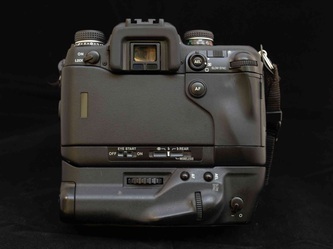 The Minolta Dynax 9Ti. A camera with a titanium body and some extra custom functions. Essentially it's the same as the regular '9'. Due to it's rareness (only 1.000 were made), it costs a lot more than a used regular. For about € 300,- to € 400,- you can buy yourself a secondhand Dynax 9 (€ 1.000 to € 1.500 for a used 9Ti). This is an absolute steal. 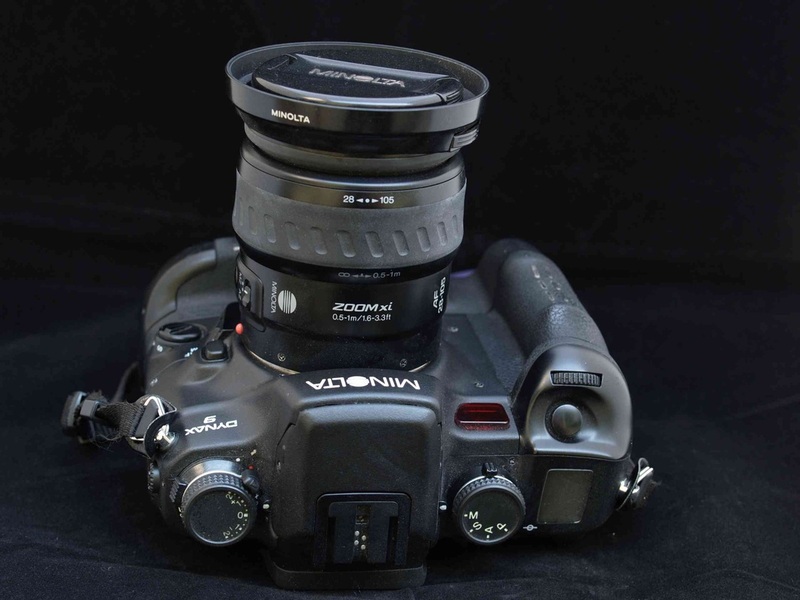 If you're into Minolta and you want the best, buy this '9'. You'll never regret it!